What are our daily sleep requirements? And lack of sleep due to sleep loss or sleep disorders is taking a serious toll. The average adult spends between seven and nine hours asleep each night. This section discussed our daily sleep requirements in all stages of our life. Our needs as a child are very different from when we are a teenager, or a working adult, and so on. Despite their small size, babies can wield tremendous power over their parents. Some new parents will go to extreme lengths to get their baby to sleep, rocking them to sleep in their arms for hours or driving them around town until their eyelids finally flutter shut. Bedtime doesn't have to make parents and their babies crazy. A newborn’s sleep cycle is disorganized. In the first few weeks, you can expect your baby’s sleep to be distributed throughout the 24 hours, with each sleep period lasting anywhere from 30 minutes to 3 hours, and with frequent waking periods through the night. In about six weeks a more regular, defined sleep pattern should begin to emerge. While sleeping, your baby may be very busy twitching, jerking, sucking, snuffling—even smiling. This is normal. Even with all this activity, your baby is actually getting a perfectly sound sleep. When addressing difficulties that your child may be having with sleep, it is important to be aware of the general developmental progression of sleep behavior in kids. Newborns alternate between sleep and wakefulness every 3-4 hours, awakening often associated with hunger. As the child grows this develops into what is called a "diurnal" pattern. This means there are progressively longer periods of wakefulness during the daytime as well as longer periods of sustained sleep at nighttime. By about 12 weeks, an infant may sleep at night for periods up to 8 hours. At 3-4 months, more than 70% of infants are sleeping for sustained periods of time at night. This is sometimes referred to as "settling in" and it occurs as the infant's brain matures. If we look at EEG patterns (an EEG is an instrument that measures brain waves) we can see the patterns becoming increasingly organized into distinctive stages differentiating sleep from wakefulness. An infant probably spends 16 hours of a 24-hour period asleep. This decreases to 12 hours in the second year of life, 10 hours by age 3, and to 9 hours from ages 8-12. Remember that this varies according to the child. With some children, this kicks in quite early and with others it happens much later on. This is simply a variation in normal development. While the development of the brain plays a very important role in the establishment of the sleep-wake cycle, learning and conditioning are equally important. This is good news for parents because it means they can also play a role in enhancing and facilitating the development of their child's sleep behavior. Just as parents pay attention to their children's general hygiene, they can also address their sleep hygiene. This can help to establish life-long patterns of good sleep. It's much easier to prevent a sleep problem than to treat one. Here are some guidelines on what to expect, from the time you bring your tightly swaddled bundle home to your baby’s third birthday. Every living creature needs to sleep. It is the primary activity of the brain during early development. Circadian rhythms, or the sleep-wake cycle, are regulated by light and dark and these rhythms take time to develop, resulting in the irregular sleep schedules of newborns. The rhythms begin to develop at about six weeks, and by three to six months most infants have a regular sleep-wake cycle. By the age of two, most children have spent more time asleep than awake and overall, a child will spend 40 percent of their childhood asleep. Sleep is especially important for children as it directly impacts mental and physical development. Rapid Eye Movement (REM) or “active” sleep. During REM sleep, our brains are active and dreaming occurs. Our bodies become immobile, breathing and heart rates are irregular. For newborns, sleep during the early months occurs around the clock and the sleep-wake cycle interacts with the need to be fed, changed and nurtured. Newborns sleep a total of 10.5 to 18 hours a day on an irregular schedule with periods of one to three hours spent awake. The sleep period may last a few minutes to several hours. During sleep, they are often active, twitching their arms and legs, smiling, sucking and generally appearing restless. Newborns express their need to sleep in different ways. Some fuss, cry, rub their eyes or indicate this need with individual gestures. It is best to put babies to bed when they are sleepy, but not asleep. They are more likely to fall asleep quickly and eventually learn how to get themselves to sleep. Newborns can be encouraged to sleep less during the day by exposing them to light and noise, and by playing more with them in the daytime. As evening approaches, the environment can be quieter and dimmer with less activity. The first few weeks of your baby’s life are all about adjustment—for your baby and for you. It’s simply too soon to expect structured sleep patterns, so it makes sense to take your cues from your baby. Do what works for your baby now, and before long you’ll have the beginnings of a sleep routine. Every child is different. Your baby’s sleep habits will be different from your friend’s baby, or from an older sibling at the same age. Build your routines and rhythms around your baby’s sleep needs and patterns. Once you’re familiar with your own baby’s sleep patterns, you can begin establishing regular routines to help your baby—and the whole family—get to sleep and sleep well. Learn your baby’s signs of being sleepy. Many babies become fussy or cry when they get tired, but others will rub their eyes, pull on their ears, or even stare off into space. Put your baby down for bedtime or a nap when your baby first lets you know he or she is tired. Follow your baby’s cues. Your newborn may prefer to be rocked or fed to sleep. This is fine for the first few weeks or months. By three months, however, begin to establish good sleep habits. Always put your baby down to sleep on his or her back. A baby should sleep on a firm mattress, with no fluffy or loose bedding. Have realistic goals about sleep. Your baby will not be able to sleep for long stretches at a time for the first few months. Make sleep a family priority. It’s usual to be sleep-deprived with a newborn. But no one benefits if you’re crying from exhaustion while the baby’s crying to be calmed. Tell your spouse (or a friend who’s offered) when you need a break. And, tempting as it is to use naptimes to get things done, you’ll be able to cope better if you nap when your baby does. Take the first steps toward a bedtime routine. The important thing is that it’s built around things that both you and your baby enjoy. A 3- or 4-month-old is taking three to four naps a day, and a 12-month-old is typically taking two naps a day. The original definition in 1957 was a baby who sleeps from midnight to 5 a.m. is sleeping through the night. Gradually, over the first few months, your baby will begin to develop a more predictable pattern. Between 2 and 4 months, you will notice a regular rhythm of sleepiness and alertness throughout the day. Between 3 and 6 months most babies begin to sleep for longer stretches at night. In the first year, babies naturally cut down their daily naps from 3 or 4 a day to 1 or 2 a day. So if you're looking for 12 hours straight, they will be at least 6 months of age until they can sleep for that long without a nighttime feeding. By six months of age, nighttime feedings are usually not necessary and many infants sleep through the night; 70-80 percent will do so by nine months of age. Infants typically sleep 9-12 hours during the night and take 30 minute to two-hour naps, one to four times a day – fewer as they reach age one. When infants are put to bed drowsy but not asleep, they are more likely to become “self-soothers” which enables them to fall asleep independently at bedtime and put themselves back to sleep during the night. Those who have become accustomed to parental assistance at bedtime often become “signalers” and cry for their parents to help them return to sleep during the night. Social and developmental issues can also affect sleep. Secure infants who are attached to their caregiver may have less sleep problems, but some may also be reluctant to give up this engagement for sleep. During the second half of the year, infants may also experience separation anxiety. Illness and increased motor development may also disrupt sleep. For all children, adolescents and adults, you want a bedroom that's cool, quiet, dark and comfortable. All babies should sleep on a firm surface. There should be very little bedding in their crib, so that there's no concern about suffocation. And, of course, all babies should be put down on their backs to sleep to decrease the risk of sudden infant death syndrome. A consistent sleep schedule with set nap times and a set bedtime is going to set their internal clock and make it so they fall asleep quickly and stay asleep. A typical baby bedtime is between 7:30 and 8:30 at night. One of the key things in getting a baby to have good sleep habits is a bedtime routine. You want that bedtime routine to be 20 to 30 minutes long and include about two to three activities, which are exactly the same every single night. A typical bedtime routine may include taking a bath, massaging the baby, reading, singing lullabies. You want activities that are soft and soothing. Now, if your baby hates taking a bath or can't sit still for books, you want to do that at a different part of the day. One of the most important things that you want to do as a parent is figure out the sign your baby gives when he or she is sleepy. Does she rub her eyes? Does she pull her ears? Does she twirl her hair? One baby I knew used to stare off into space. The mom thought the baby was bored so she would sort of do antics, but, really, that was a sign for the baby that he wanted to go to sleep. The moment your baby gives you that sign, that's your window of opportunity. You want to go right away and put them down for their nap or for bedtime. All babies naturally awaken between three and six times throughout the night. As they change from one sleep stage to another, they're going to have a normal arousal. The question is whether or not a baby can fall back to sleep on their own. A baby who can fall asleep on their own at bedtime is a baby who's going to fall right back to sleep when they waken during the night. The National Sleep Foundation data from the Sleep in America poll found that 46 percent of children are being put down awake in their cribs rather than asleep. So the majority of children are being put down asleep. But children who are put down awake fall asleep faster and sleep, on average, one hour more at night. A baby who's rocked to sleep, nursed to sleep, driven in the car to sleep, pushed in a stroller to fall asleep at bedtime is going to need that exact same thing to fall back asleep at 1:00, 3:00 and 5:00 every time they naturally awaken. If a parent has a baby who's having a difficult time falling asleep or staying asleep, they may choose to do what we often refer to as sleep training. So you do your bedtime routine, you put your baby down awake in their crib and then leave the room. At that point, you want to check on your child. How often you check is going to depend upon your tolerance as a parent and your baby's temperament. For some babies, it makes them more upset to check on them than not to check on them. Every time you go in to check on your child, you want to go in for just a minute or two, be really calm, let them know everything is OK and leave. It's best not to pick them up, but, if you need to, that's OK, as long as you put them back down. The first night, they will often fuss (that's our nice way of saying they may be upset) for 30 to 45 minutes. The second night is going to get worse, because it's sort of "last night was a fluke, tonight I really mean it." By third night, you're going to see dramatic improvement and, if you stick with it for a week, what you're going to find is a baby who falls asleep very quickly at bedtime and will start sleeping through the night. The most important thing parents should do when they start sleep training is consistency. If they're consistent, they are going to see a major improvement. When there are two parents in the household, sleep training always takes some negotiation. You both need to come up with a plan that you're going to stick to. If there is one parent who can't tolerate any crying by their child, you may want to send them out to the store or to a friend's house, so you can help the baby get over the hump. The other thing that's important for parents to realize is that they're doing this for the benefit of their baby. Some parents feel as if they're being selfish. You have to realize that a baby waking three times a night is going to feel as awful the next day as a parent waking three times per night. Also, having a parent who's well rested is going to have huge benefits for babies. Create a bedtime routine that works for both you and your Infant. Now that your baby’s sleep patterns are becoming more organized, it’s time for a bedtime routine that will fit in with your family’s needs as well as your baby’s needs. Keep the sequence of events basically consistent even with caregivers or when away from home. It can also be helpful to have parents take turns putting their baby to bed. Learn your infant’s signs of being sleepy. Many babies become fussy or cry when they get tired, but others will rub their eyes, pull on their ears, or even stare off into space. Put your baby down for bedtime or a nap when your baby first lets you know he or she is tired. Start developing a bedtime routine. Make sure your routine is not too long or too impractical to stick to. Rock your baby to sleep at 6 months, and you may end up doing the same when the baby wakes in the night—as all babies do for short periods—or even when your little one turns two. Set a regular sleep schedule for your baby. Settle on regular naptimes and a bedtime that allow your baby to get all the sleep he or she needs. Contrary to what you may think, cutting down on naps won’t help at night. It can be a recipe for overtiredness and a worse night’s sleep. But you’ll also want to avoid naps too close to bedtime. Give your infant soothing surroundings. Keep the bedroom dark, cool and quiet. And make sure lights and environment, are the same at bedtime as they will be throughout the night. Wind down your routine where you want your baby to sleep. The last part of the routine should happen in the room where your baby sleeps. Put your infant to bed drowsy but awake. This may teach your baby to soothe himself or herself to sleep, as well as to go back to sleep in the night on his or her own, with little if any intervention from you. Make sleep a family priority. Remember, you need sleep, too. If friends and family have offered help, take them up on the offer. Resist as much as you can treating your baby’s naptime as your chore time. Take a nap when your baby does. Avoid making bedtime feedings a permanent fixture. They rarely help either how long or how well your baby sleeps. And after 6 months nighttime feedings are rarely necessary. Move a bottle or nursing time earlier in the evening, to avoid the association between eating and sleeping. •	Create a consistent and enjoyable bedtime routine. •	Establish a regular “sleep friendly” environment. Many factors can lead to sleep problems. Toddlers’ drive for independence and an increase in their motor, cognitive and social abilities can interfere with sleep. In addition, their ability to get out of bed, separation anxiety, the need for autonomy and the development of the child’s imagination can lead to sleep problems. Daytime sleepiness and behavior problems may signal poor sleep or a sleep problem. Your toddler may be finished with morning naptime by around 18 months, and naps will disappear altogether between 2 1/2 and 5 years. At the same time, most toddlers will have learned to sleep through the night, although stressful events and other interruptions (an illness, a trip) can temporarily upset this welcome pattern. Switching to a bed is another change that can be disruptive for a toddler, especially if it happens too early. Most toddlers switch to a bed between 2 and 4 years. If you regularly have to wake your child in the morning, it could be a sign that he or she isn’t getting enough sleep. The number of hours a toddler sleeps will be different for each child. However, most toddlers are consistent in how much they sleep from one day to the next. Build a regular bedtime routine everyone enjoys. Your toddler’s sleep patterns will continue to change. Toddlers can generally sleep through the night, although change and stressful events (a trip or illness, for example) can cause temporary setbacks. All children wake briefly at regular intervals throughout the night. A toddler who’s learned to fall asleep on his or her own will be able to return to sleep in the middle of the night without help from you—although normal bedtime fears and nightmares may need your reassurance. Set a regular sleep schedule. Establish regular naptimes and a bedtime that allow your toddler to get all the sleep he or she needs. Restricting naps won’t help a toddler sleep better at night. Quite the opposite—it can lead to overtiredness and more sleep problems. But avoid naps late in the afternoon. Many babies become fussy or cry when they get tired, but others will rub their eyes, pull on their ears, or even stare off into space. Put your baby down for bedtime or a nap when your baby first lets you know he or she is tired. Wind down your routine where your child sleeps. Make sure the last few soothing minutes of the bedtime routine happen right in your toddler’s room. Give your toddler soothing surroundings. Keep the bedroom dark, cool and quiet. A night-light is fine. A television isn’t. And make sure the environment is the same at bedtime—lighting, for example—as it will be throughout the night. Put your child to bed drowsy but awake. This may teach your toddler to fall asleep, as well as to go back to sleep in the night on his or her own, with little if any help from you. Whatever routine you have established at bedtime will need to occur again if your child wakes in the middle of the night. So create a routine that helps your child fall asleep on his or her own. Set limits. If your child stalls at bedtime, set clear limits, such as how many books you will read or how many drinks of water you will allow. Make sleep a family priority. Remember, looking after a toddler takes plenty of energy. You need your sleep, too. • Maintain a daily sleep schedule and consistent bedtime routine. • Make the bedroom environment the same every night and throughout the night. • Set limits that are consistent, communicated and enforced. 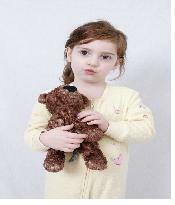 • Encourage use of a security object such as a blanket or stuffed animal. (3-5 years) Preschoolers typically sleep 11-13 hours each night and most do not nap after five years of age. As with toddlers, difficulty falling asleep and waking up during the night are common. With further development of imagination, preschoolers commonly experience nighttime fears and nightmares. In addition, sleepwalking and sleep terrors peak during preschool years. • Maintain a regular and consistent sleep schedule. • Have a relaxing bedtime routine that ends in the room where the child sleeps. • Child should sleep in the same sleeping environment every night, in a room that is cool, quiet and dark – and without a TV. Children aged five to 12 need 10-11 hours of sleep. At the same time, there is an increasing demand on their time from school (e.g., homework), sports and other extracurricular and social activities. In addition, school aged children become more interested in TV, computers, the media and Internet as well as caffeine products – all of which can lead to difficulty falling asleep, nightmares and disruptions to their sleep. • Teach school-aged children about healthy sleep habits. • Continue to emphasize need for regular and consistent sleep schedule and bedtime routine. • Make child’s bedroom conducive to sleep – dark, cool and quiet. Keep TV and computers out of the bedroom. Getting enough continuous quality sleep contributes to how we feel and perform the next day, but also has a huge impact on the overall quality of our lives. Getting enough sleep refers to the amount of sleep you need to not feel sleepy the next day. If sleepiness interferes with or makes it difficult to do your daily activities, you probably need more sleep. Although sleep experts generally recommend an average of 7-9 hours per night, some people can get along with less while others need as much as ten hours to feel alert the next day. Sleep requirements vary over the life cycle. Newborns and infants need a lot of sleep and have several periods of sleep throughout a 24-hour time period. Naps are important to them as well as to toddlers who may nap up to the age of 5. As children enter adolescence, their sleep patterns shift to a later sleep-wake cycle, but they still need around 9 hours of sleep. Throughout adulthood, even as we get older, we need 7-9 hours of sleep. Sleep patterns may change, but the need for sleep remains the same. Planning your day so that you allow enough time to sleep is essential to your overall well-being and quality of life. Such planning includes allowing enough time to awaken naturally – without an alarm clock – so you get as much sleep as you need! According to the 2002 poll, over 80% of American adults believe that not getting enough sleep leads to poor performance at work, risk for injury and poor health, and difficulty getting along with others. Often, people become irritable due to lack of sleep, resulting in serious consequences. Studies show that lack of sleep leads to problems completing a task, concentrating, making decisions and unsafe actions. Recent research suggests that sleep deprivation impacts on aging and diabetes. Insufficient sleep may also make it difficult to exercise and can reduce the benefit of hormones released during sleep. Just as compelling are the serious consequences of sleep deprivation that lead to approximately 100,000 sleep-related vehicle crashes each year and result in 1,500 deaths. Sleep is regulated by two brain processes. One is the restorative process when sleep occurs naturally in response to how long we are awake; the longer we are awake, the stronger is the drive to sleep. The second process controls the timing of sleep and wakefulness during the day-night cycle. Timing is regulated by the circadian biological clock that is located in our brain. This part of the brain, the SCN or suprachiasmatic nucleus, is influenced by light so that we naturally tend to get sleepy at night when it is dark and are active during the day when it is light. In addition to timing the sleep-wake cycle, the circadian clock regulates day-night cycles of most body functions, ensuring that the appropriate levels occur at night when you are sleeping. For example, important hormones are secreted, blood pressure is lowered and kidney functions change. Research even indicates that memory is consolidated during sleep. This “clock” in the brain runs on a 24-hour cycle with the result that we feel most sleepy around 2:00-4:00 am and in the afternoon between 1:00-3:00 pm. We need to have continuous sleep that becomes restorative and results in feeling refreshed and alert for the day ahead. Quality sleep also means that it is continuous and uninterrupted. As we get older, sleep can be disrupted due to pain or discomfort, the need to go to the bathroom, medical problems, medications, and sleep disorders as well as poor or irregular sleep schedules. Establishing a regular bed and wake schedule and achieving continuous sleep helps you sleep in accordance with your internal biological circadian clock and experience all of the sleep stages necessary to reap the restorative, energizing and revitalizing benefits of sleep. Sleep is food for the brain: Get enough of it, and get it when you need it. Even mild sleepiness can hurt your performance -- from taking school exams to playing sports or video games. Lack of sleep can make you look tired and feel depressed, irritable, and angry. Keep consistency in mind: Establish a regular bedtime and waketime schedule, and maintain it during weekends and school (or work) vacations. Don't stray from your schedule frequently, and never do so for two or more consecutive nights. If you must go off schedule, avoid delaying your bedtime by more than one hour, awaken the next day within two hours of your regular schedule, and, if you are sleepy during the day, take an early afternoon nap. Learn how much sleep you need to function at your best. You should awaken refreshed, not tired. Most adolescents need between 8.5 and 9.25 hours of sleep each night. Know when you need to get up in the morning, then calculate when you need to go to sleep to get at least 8.5 hours of sleep a night. The light helps to signal to the brain when it should wakeup and when it should prepare to sleep. Understand your circadian rhythm. Then, you can try to maximize your schedule throughout the day according to your internal clock. For example, to compensate for your "slump (sleepy) times," participate in stimulating activities or classes that are interactive, and avoid lecture classes or potentially unsafe activities, including driving. After lunch (or after noon), stay away from coffee, colas with caffeine, and nicotine, which are all stimulants. Also avoid alcohol, which disrupts sleep. Relax before going to bed. Avoid heavy reading, studying, and computer games within one hour of going to bed. Don't fall asleep with the television on -- flickering light and stimulating content can inhibit restful sleep. If you work during the week, try to avoid working night hours. If you work until 9:30 pm, for example, you will need to plan time to "chill out" before going to sleep. Become a Teen sleep-smart trendsetter! Be a bed head, not a dead head. Understand the dangers of insufficient sleep -- and avoid them! Encourage your friends to do the same. Ask others how much sleep they've had lately before you let them drive you somewhere. Remember: Friends don't let friends drive drowsy. Brag about your bedtime. Tell your friends how good you feel after getting more than 8 hours of sleep! Say no to all-nighters. Staying up late can cause chaos to your sleep patterns and your ability to be alert the next day ... and beyond. Remember, the best thing you can do to prepare for a test is to get plenty of sleep. All nighters or late-night study sessions might seem to give you more time to cram for your exam, but they are also likely to drain your brainpower. If your kids have teen sleep problems or insomnia, educate yourself about adolescent development, including physical and behavioral changes you can expect, including those that relate to their sleep needs and patterns. Look for signs of sleep deprivation (insufficient sleep) and sleepiness in your teen -- keep in mind that they are not always obvious. Signs include difficulty waking in the morning, irritability late in the day, falling asleep spontaneously during quiet times of the day, and sleeping for extra long periods on the weekends. In addition, sleepiness can also look similar to attention deficit hyperactivity disorder. Above all, don't allow any family member to drive when sleep deprived or drowsy. Enforce regular sleep schedules for all children and maintain appropriate schedules as they grow older. To help induce sleepiness in adolescents, establish a quiet time in the evening when the lights are dimmed and loud music is not permitted. Talk with your children about their individual sleep/wake schedules and level of sleepiness. Assess the time spent in extracurricular and employment activities with regard to their sleep patterns and needs, and make adjustments if necessary. Encourage your children to complete a sleep diary for 7 to 14 consecutive (and typical) days. The diary can provide immediate information on poor sleep hygiene, and it can be used to measure the effectiveness of efforts to change. If your child's sleep schedule during vacation is not in sync with the upcoming school schedule, help him or her adjust it for a smooth transition. This process can take from several days to several weeks, so plan ahead! Consult a sleep expert. Excessive daytime sleepiness can be a sign of narcolepsy, apnea, periodic limb movement disorder and other serious but treatable sleep disorders. Discuss with teachers and school officials ways to accommodate your child's needs, if necessary. Excessive daytime sleepiness due to sleep disorders or other medical conditions are covered under the Americans with Disabilities Act and the Disabilities Education Act of 1997. Be a good role model: Make sleep a high priority for yourself and your family and practice good sleep hygiene. Listen to your body. If you are often sleepy, get more sleep at night, take naps, or sleep longer when possible. Consult a sleep expert if needed. Actively seek positive changes in your community by increasing public awareness about sleep and the harmful effects of sleep deprivation, and by supporting sleep-smart policies. Request sleep education in school curricula at all levels and encourage your school district to provide optimal environments for learning, including adopting healthy and appropriate school start times for all students. NSF poll shows that most parents heard their children complain of being tired during the day. Never before in the young history of America have so many people lived to be so old. The elderly are, in fact, the fastest growing segment of the American population today. Though the older among us are living longer, healthier, and more productive lives than ever before, there are many changes that often accompany aging. Chronic illness becomes more common, the body itself grows frailer, and worries or concerns about the future often grow more acute with age as well. As adolescents continue to grow into adulthood, the pattern shifts back, so that most adults get sleepy around 11 pm. They'll sleep about 8 hours because now we need less sleep as we get into adulthood, which means that they're waking up around 6 or 7 in the morning. There are individual differences in how much sleep adults need, and people need to figure that out for themselves. The way you do that is by finding out how much sleep it takes for you to feel fully alert during the day. And what fully alert means is that you're able to stay awake until it's time to go to bed at night. There is this myth that as we get older, we need less sleep. The truth is that our ability to sleep changes as we get older, but the need for sleep probably doesn't. As we get older, the amount of deep sleep that we have decreases. It actually starts decreasing at around age 20. As we get older, our sleep architecture changes. We begin losing some of our deep sleep and the less deep sleep you have, the more time you'll spend in lighter stages of sleep. If you're spending more time in lighter stages, that means that you're more likely to react to noises or things in the environment that will wake you up. It's not entirely clear if we actually need less sleep as we age. We do know that there are a lot of changes in the sleep-wake cycle as we age. As we age, we tend to lose the ability to sleep as deeply at nighttime, so there's a natural degradation of the sleep-wake process as we get older. Just as the body changes with age, so too does the brain. Unfortunately, we tend to lose certain aspects of brain function with age. The parts of brain function that we lose are areas of the cortex, and the cortex is responsible for generating sleep at nighttime. When we lose some of that cortical function, we're just not able to generate the same degree of sleep as we were when we were younger. And these changes start earlier than you may think, when we're in our early 30s and 40s. One of the biggest problems we see in sleep disorders medicine is sleep issues in older people. In part it's the result of the changes in brain function, but it's also a result of the stresses and difficulties inherent in later life. Generally, older people complain of waking up in the middle of the night and having only fragmented sleep after that. They tend not to have too much difficulty falling asleep, but after a few hours of sleep, their brains say, "I'm done," then they start waking up and having fragmented sleep throughout the nighttime. They tend to wake up very early in the morning, four or five o'clock or so, not being able to return to sleep. And without that restorative sleep at nighttime, they tend to take catnaps throughout the daytime, falling asleep periodically. They feel a little more sleepy at certain times during the daytime. All these factors associated with growing older can result in ever-elusive nights of good sleep. Sleep changes as we age – as any one over the age of 50 knows. Not only do changes in sleep patterns occur, but there is also an increased incidence of many sleep disorders. One of the most common changes in the elderly is the occurrence of frequent awakenings during the night. While these awakenings are sometimes caused by physical conditions (pain, the need to urinate) it has been shown that the aging process itself causes sleep to become more fragmented. Another change that can occur with aging is a shifting of the biological clock. Many elderly people are surprised that they fall asleep earlier in the evening and may awaken before sunrise. The biological clock – the part of the brain that regulates sleep, temperature, and certain hormones – shifts sleep and wake times, so that it becomes more difficult to stay awake in the evening and easier to wake up early in the morning. In addition to the timing of sleep, the levels of sleep change as you age. There is less of the very deep sleep known as delta or slow wave sleep and more light sleep. While the level of sleep may change, the total number of hours of sleep may not change much from when you were younger. The hormones involved with sleep also change in the elderly. You have probably heard of melatonin, which is sometimes referred to as the "hormone of darkness" because it is produced in the absence of light. The role of melatonin in sleep is controversial. We know that melatonin levels decrease with age but we do not know the significance of this reduction, or if melatonin pills help elderly people (or others, for that matter) who have trouble falling or staying asleep. Also, many people who try melatonin take it an incorrect times, and may not reap its benefits. Ironically, many of the above symptoms are made worse by the things that people do to try to compensate for their changing sleep patterns. At any age, it is important to have proper sleep habits – what we refer to as "good sleep hygiene". But as we grow older, it becomes increasingly vital to maintain healthy sleep hygiene, since many older people unknowingly violate it trying to correct their altered sleeping habits. Do not spend too much time in bed and avoid naps when you can: It is important to spend only the time in bed you truly need. When you have had a poor night's sleep and feel awful the next morning, you might believe that if you spend more time in bed you will get more sleep. Unfortunately, what generally happens when you spend extra time in bed is that your sleep becomes fragmented. Periods of sleep alternate with frequent awakening. In other words, if you only need 5 hours of sleep but spend 7 hours in bed, you will lie awake for at least 2 out of the 7 hours. These alternating periods of sleep and awakening will cause the 'unrefreshed feeling' you were trying to avoid by staying in bed longer. The solution is to figure out how much sleep time you need, which might be different from how much sleep you want. You can do this by keeping track of the total number of hours spent sleeping in a 24 hour period (remember to include any daytime naps) for two weeks and then calculate the average sleep you get in 24 hours. You should stay in bed only for the time you need to sleep plus 30 minutes (to allow for some time to fall asleep) each night. For example, if you need 6 hours of sleep, spend only 6.5 hours in bed. The corollary is to avoid naps (if you like to nap, just decrease your time in bed at night) since napping will take away from the time you will sleep at night. Use the bed only for sleeping: It sounds silly but our bodies pick up on a lot of subconscious clues. Avoid alcohol, tobacco, and coffee in the evening: Alcohol relaxes you and can help you fall asleep. However, when the alcohol wears off it has the opposite effect, causing awakening and fragmented sleep during the remainder of the night. Therefore, avoid the "nightcap" and do not drink alcohol within six hours of bedtime. Cigarettes are relaxing but make you more alert – and therefore make it more difficult for you to fall asleep. If you must smoke, have your last cigarette at least three hours before going to bed. Caffeine, as we all know, helps us wake up, so you should avoid it after 3:00 p.m. Exercise: Exercise is great at any age and when you exercise in the late afternoon, it increases the amount of deep sleep that you will experience. However, exercise in the evening can get your adrenaline pumping and keep you awake. Wind down: Don't expect yourself to fall asleep immediately. Wind down in the evenings. Develop a relaxing routine such as reading (in a chair) before getting into bed. If maintaining healthy sleep hygiene doesn't help, it is possible that you might have a more serious problem. Any type of major brain change—structural problems or dementia—can severely fragment sleep at night. Parkinson's disease, for instance, causes a very specific change in how our brains work at nighttime, and people with Parkinson's disease sometimes experience a 50% reduction in their ability to sleep. It's not uncommon for people with Parkinson's to get only two or three hours of sleep at night. Also, most of the mental disorders that can affect younger people also affect late-life individuals, but older people may be more vulnerable to them. Depression is a major problem that we see. Grief and bereavement, major stressors of late life, going into retirement and suddenly having a lot of time on your hands, not being as active during the daytime—all these factors can lead to difficulties and anxiety disorders, which can lead to sleep problems. It is important to establish a regular pattern of getting ready to go to bed, and learn to avoid anything that will activate or arouse a person right before bed. Thinking about complex problems or emotional problems, or trying to deal with legal issues right before going to bed—all of these types of thoughts are best avoided before bedtime because they can be activating or arousing and make it very difficult to sleep soundly. It's best to try and relax in the evening for an hour or two before bed, without heavy thoughts, without alcohol or stimulating activities. Eating a light snack roughly an hour before bedtime might actually promote good sleep. Additionally, it's sometimes wise to delay bedtime in order to consolidate the sleep hours at night. Instead of going to bed at seven or eight o'clock, delay that time by a half hour or hour. And try not to stay in bed during the times you are not sleeping. Sleeping medications are effective but some have a number of side effects. They can cause problems with concentration, memory or sedation that may carry over into the daytime. This can happen because the medication remains in the body for long periods of time or they have active byproducts (which are produced during the normal drug breakdown in the body) that can lead to these types of problems. 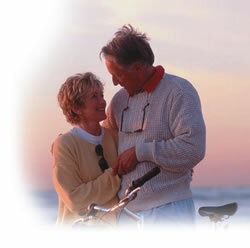 The other problem in the elderly is sometimes they experience rebounding insomnia or withdrawal problems. Over the past ten years or so there have been some newer prescription sleeping medications that tend to have fewer side effects and fewer addictive or dependence problems. And I think since the elderly are vulnerable to so many problems, we have to try to treat them with medications that may be milder, that may have fewer side effects, that are shorter acting, and that are a little bit easier to control. •Become aware of your mind and body’s natural sleep cycles. Some people function better going to bed early and rising early, other people function better when going to bed late and rising late. Listen to your body, and notice at what times of day you function best and are most productive. •Sleep only when you feel sleepy. This reduces the time you are awake in bed. •If you can't fall asleep within 20 minutes, get up and do something else until you feel sleepy, but make sure it is not too stimulating. Sit quietly in the dark listen to some nice soothing music. •Try not to take naps. This will ensure you are tired at bedtime. If you just can't make it through the day without a nap, sleep less than one hour, before 3 pm. •Get up and go to bed the same time every day. When your sleep cycle has a regular rhythm, you will feel better. •Don’t exercise for at least 4 hours before bedtime. Regular exercise is recommended to help you sleep well, but the timing of the workout is important. Exercising in the morning or early afternoon will not interfere with sleep. •Develop a routine. Listen to relaxing music, read something soothing for 15 minutes, have a cup of warm milk, and do relaxation exercises. •Stay away from caffeine, nicotine and alcohol at least 4-6 hours before bed. Caffeine and nicotine are stimulants that interfere with your ability to fall asleep. Alcohol may seem to help you sleep in the beginning as it slows brain activity, but it is a depressant, and will interfere with the quality of your sleep. •Have a light snack before bed. If your stomach is too empty, that can interfere with sleep. However, if you eat a heavy meal before bedtime, that can interfere as well. •Make sure your bed and bedroom are quiet and comfortable. Just as the external environment and our patterns of behaviour influence our ability to fall asleep easily and readily, so too does our internal environment have an effect. We can make every effort to reduce external stimulus, dim the light and listen to soothing music, but if we are making huge, bright pictures in our mind, or chattering away to ourselves in an urgent, intense tone, we are still creating a problem for ourselves. So pay attention to your thoughts as you prepare for sleep. And notice “how” you think them. What is it about them that make it harder to drop off to sleep? •Are you talking away to yourself? What sort of tone is that internal voice using? Make it slow down, and drop in pitch. Allow your internal thinking to become as soothing and gentle as you have made the external environment. You might find this helpful to do over a few minutes, so the internal dialogue gradually becomes quieter and quieter until you can barely hear it. Self-hypnosis is a way of relaxing mind and body to a stage at which the communication between your conscious and unconscious mind becomes free and unimpeded. There are a number of ways in which this can benefit sleep, not least in that the relaxation it brings is beneficial in its own right. There a number of ways to learn self-hypnosis, but it really is quite simple. When settles in bed, find a way to physically relax your body. You can repeat this three times, allowing your internal voice to get quieter and quieter each time you say it. You can help ensure sound sleep by eating from a variety of healthy foods throughout the course of the day. Avoiding foods that contain stimulants will also improve night time rest. Caffeine and alcohol aren't the only substances that affect your sleep. Everything you eat can affect nighttime slumber. Lying down makes heartburn worse, and heartburn itself makes falling asleep more difficult. Also, the older we get, the more we experience these nighttime awakenings. Try to restrict your fluids before bedtime to help promote an uninterrupted night's sleep. If the problem persists, talk to your doctor. Another cause of sleep problems can be eating too much - of any food - that can make sleep difficult. A heavy meal close to bedtime may make you less comfortable when you settle down for your night's rest. •	Sugar: refined sugars disturb metabolic processes; substitute honey, fruit sugars or maple syrup. •	Chemical additives: these are difficult for your body to process and may keep you awake. Although doctors maintain that eating a large meal late at night is harmful to the system, hunger pangs can be a cause of wakefulness. Further reading through our articles on health issues will give you a body of information that will help you decide what options you have to deal with the underlying causes of your sleep disorders problem through giving your body the nutrition products that will assist you body to heal from the inside out. Aloe Vera Juice is a refreshing and anti-bacterial drink, you might find that taking this daily, diluted in some filtered water will not only refresh you like ‘a shower inside you. The calming effect of aloe can have a beneficial benefit for people with sleeping disorders. It also assists in dealing with any digestive issues you may also be experiencing. Sleep apnea, sleep apnoea or sleep apnœa is a sleep disorder characterized by pauses in breathing during sleep. These episodes, called apneas (literally, "without breath"), each last long enough so one or more breaths are missed, and occur repeatedly throughout sleep. The standard definition of any apneic event includes a minimum 10 second interval between breaths, with either a neurological arousal (3-second or greater shift in EEG frequency, measured at C3, C4, O1, or O2), or a blood oxygen desaturation of 3-4 percent or greater, or both arousal and desaturation. Sleep apnea is diagnosed with an overnight sleep test called a polysomnogram. when I work some kinds of easy tasks I easily tired and when I walk a little distance path my brain get some headche. I have 11 hours of sleep at night and i find myself very alert and awake in the morning (: just saying. SITE DISCLAIMER: Do these products “cure” anything? Of course not… but it stands to reason that if you cleanse your body and feed it the finest nutrition available, giving it everything it needs in balance, on a daily basis, that your body will do what nature intended, and give you the best possible chance to fend off sickness and disease. This daily sleep requirements information is not presented by a medical practitioner and is for educational and informational purposes only. The content is not intended to be a substitute for professional medical advice, diagnosis, or treatment. Always seek the advice of your physician or other qualified health provider with any daily sleep requirements questions you may have regarding a medical condition. Never disregard professional medical advice or delay in seeking it because of something you have read. Any natural and/or dietary supplements that are not FDA approved or evaluated must be accompanied by a two-part disclaimer on the product label: that the statement has not been evaluated by FDA and that the product is not intended to "diagnose, treat, cure or prevent any disease”. The daily sleep requirements resources on this site are not intended to be a substitute for professional advice. While all attempts have been made to verify information provided in this publication, neither the author nor the publisher assumes any responsibility for errors, omissions or contrary interpretation of the web site daily sleep requirements subject matter herein. The site daily sleep requirements contents are solely the opinion of the authors and should not be considered as a form of advice, direction and/or recommendation of any kind. If expert advice or counseling is needed, services of a competent professional should be sought. The author and the Publisher assume no responsibility or liability and specifically disclaim any warranty, express or implied for any products or services mentioned, or any techniques or daily sleep requirements practices described.